We are the Bilingual Montessori School of Lund. BMSL educates children from preschool age up to grade nine (aged 1-16). 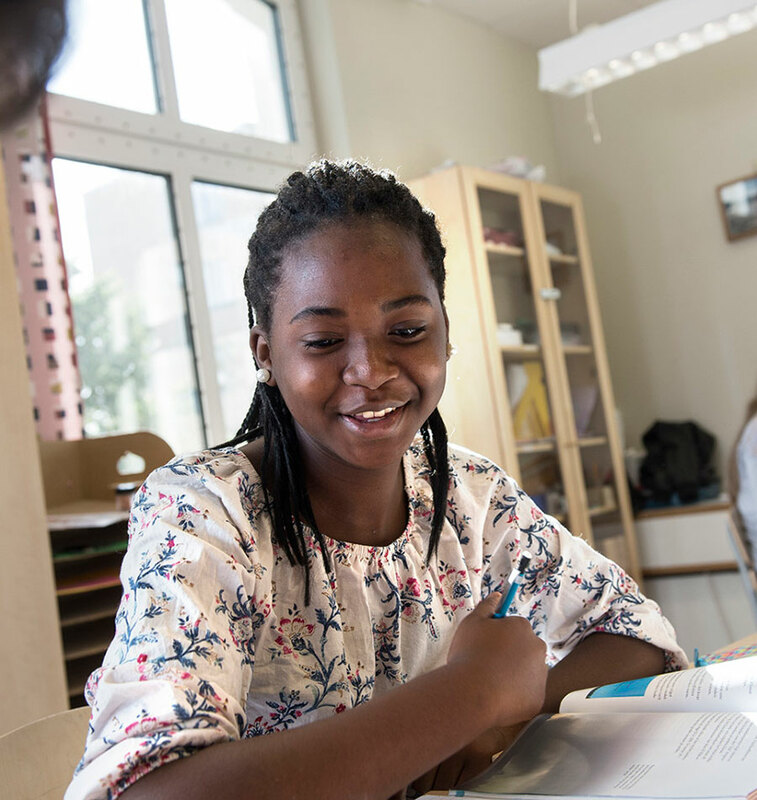 We follow the National Swedish Curriculum but in contrast to many Swedish schools, the children learn English and French from preschool age, using the language immersion technique and Montessori pedagogy which originated in Italy. Our teachers come from France, USA, Canada, Australia, England, Scotland, Ireland, Togo, Great Britain, Martinique, the Philippines, Spain, Poland, Korea and Sweden, just to name a few. We believe languages open doors and with Montessori as a pedagogical tool we can help your child reach his or her goals. Ideals are important. They can be a positive driving force that yield results; especially where education is concerned. We want to enhance and support the children’s desire to learn. Every pupil should know that they can look forward to school: not simply because of their friends, but also for the pleasure of progressing. Moreover, we know that pupils feel safe here. Many former pupils return with fond memories of their time at BMSL. Our ideals are not achieved with ease but they are well-worth the effort. At BMSL we follow the Swedish curriculum. We have grades, tests and clear rules about how we behave towards each other. We have high standards, and we know how to motivate and inspire. The desire to learn is essential for us and the student’s own curiosity is the key. Therefore, we want to be the school you are longing for. We are a place for explorers, freethinkers and independent innovators. For several years, our simple philosophy helped our students achieved some of the best learning outcomes in Sweden. Furthermore, at BMSL, we have students who dare to be themselves. Maria Montessori was born in 1870. She was an Italian educator, scientist, physician, feminist, philosopher and philanthropist. Today, many of her ideas have become part of the Swedish school system. Children should have a say and be encouraged to take responsibility. Creativity and creation stimulate the senses and sharpens learning ability. Openness and tolerance help us better understand the ever-changing world we live in. We have placed cookies on your computer.